It is absolutely along the fault. That's a lot of explosives to be putting on top of the New Madrid Seismic Zone! In Missouri, officials have argued that blowing up the Birds Point levee to ease the threat to Cairo would flood about 100 homes, destroy rich farmland and create environmental hazards by sweeping up fertilizer and other chemicals. Some Mississippi County residents who had evacuated returned Saturday to get belongings from their homes. Many feared the farmland that sustains their community will be ruined if the levee is breached. "If they break the levee, what are we going to have left?" Mississippi County Sheriff Keith Moore said. "It's going be like a tsunami." The U.S. Army Corps of Engineers is announcing its intent to prepare a Draft Environmental Impact Statement (DEIS) for the Mississippi River and Tributaries, St. Johns Bayou and New Madrid Floodway, MO Project. The DEIS is being prepared to address and evaluate the environmental, economic and social impacts of alternative plans to provide flood control and develop and discuss locations and methodologies of potential compensatory mitigation. This DEIS will address previous project history, independent external peer reviews, State/Federal agency concerns and will formulate alternatives that manage flood risks in the project area. Mr. Gregg Williams, telephone (901) 544-3852, CEMVM-PB-E, 167 North Main Street B-202, Memphis, TN 38103-1894, e-mail—[email protected]. The Mississippi and Ohio Rivers converge near the small town of Cairo, Illinois. Just below this confluence point, the river enters a section where its path is very straight and narrow. This section of river, which marks the border between Kentucky and Missouri, can handle moderate flood waters of either the Mississippi or the Ohio, but not both. In the event that both rivers would flood, or a monumental flood would occur, the combined river flows would flood vast areas of these two states. To protect against this occurrence, the US Army Corps of Engineers installed a relief valve in the river system. A low spot was built in the levee at Birds Point, which is just downriver from Cairo. In the event of a large flood, the waters would overtop this levee, causing it to fail. When it fails, up to one-fifth of the river flow would be diverted through the New Madrid Floodway. A 1,500 foot wide gap in the levee system just north of New Madrid would allow the water in the floodway to rejoin the Mississippi River. The result is that a large fraction of Mississippi and Ohio River flood water would bypass the narrow section of the river, likely sparing much of the adjacent farming regions from flooding. There turns out to be two glitches in this plan. First, when the floodway was first used, the levee at Birds Point refused to fail, so the US Army was forced to blow the levee with explosives. Second, the outlet near New Madrid allows water from smaller floods to flow backwards into the floodway, needlessly flooding the farmland in the floodway area. The US Army Corps of Engineers has a plan to fix these issues. First, the levee at Birds Point would be converted into a fuse plug. That is, pipes would be installed in the levee to allow explosives to be pumped in and detonated when needed. This allows the US Army Corps of Engineers to pick the time when the floodway is opened rather than leaving it to chance. Second, the gap in the levees near New Madrid would be closed off. This would prevent the backflow floods. It would also prevent the water from exiting the floodway naturally. The plan is to install two large pumping stations to pump out the floodway. This plan is not without its critics. 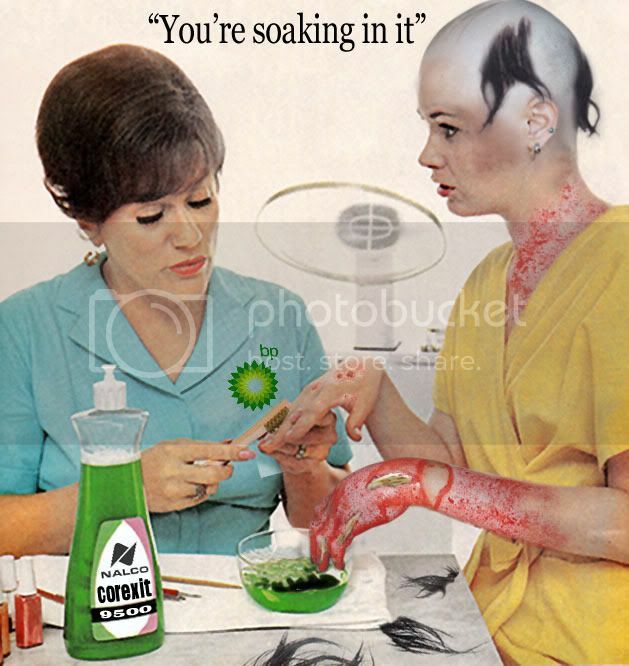 They argue that nature should be allowed to do its job without human intervention. They also see the backflow flooding from the outlet gap as beneficial to the wetlands rather than the annual destruction of large areas of farmland. 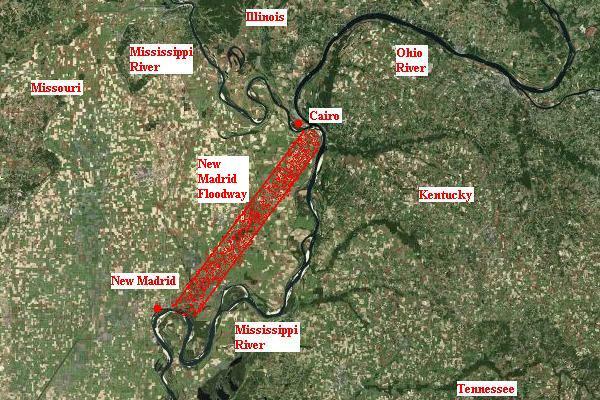 Re: Army to BLOW UP Birds Point Levee near New Madrid to induce NLE11 EARTHQUAKES! THESE NLE11 EARTHQUAKES ARE NOT JUST GOING TO HAPPEN ALL BY THEMSELVES! THE PLANNED CATASTROPHIC DISASTER NEEDS A BIT OF NUDGING FROM THE ARMY CORE OF ENGINEERS JUST LIKE DURING KATRINA! ALL ELECTRICAL OUTAGES, EARTHQUAKES, TORNADOES, HEAT WAVES, CYBER INTRUSIONS IN THESE STATES FROM NOW UNTIL JULY ARE CAUSED BY NLE11 EXERCISES! FEMA and the General Services Administration (GSA), as co-leads for Logistics Management and Resource Source Support (ESF #7) are developing a New Madrid Earthquake-specific resource support concept plan. To test our capabilities, FEMA and DOD’s U.S. Northern Command (USNORTHCOM) will co-host a Defense Support of Civil Authorities (DSCA) exercise in February 2011 to test the specified and implied logistics tasks for the first 72 hours following a catastrophic earthquake in the NMSZ incident. The National Level Exercise 2011 (NLE 11) is a congressionally mandated series of building block exercise activities designed to educate and prepare participants for a catastrophic earthquake incident in the NMSZ. NLE 11 will test and evaluate the federal government’s ability to implement catastrophic incident response and recovery plans in support of state, local, tribal, nongovernmental and private sector NMSZ earthquake response and recovery activities, as well as for individuals, families, and communities. 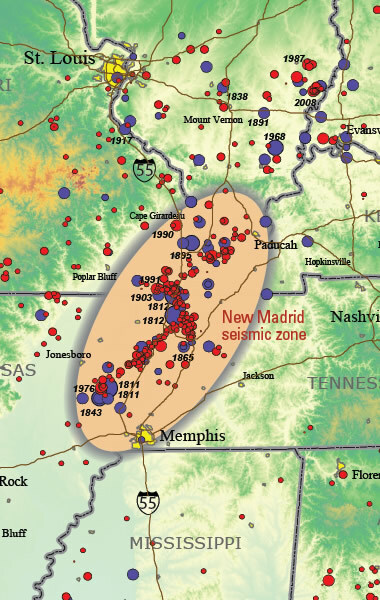 The year 2011 is the bicentennial anniversary of the 1811 New Madrid earthquake, for which the NMSZ is named. NLE 2011 will be the first NLE to simulate a natural hazard and will provide the framework for the eight impacted states and four FEMA Regions to test and evaluate regional earthquake response and recovery plans. The NLE 11 capstone functional exercise (NLE 11 FE) will occur May 16 – 20, 2011, with targeted exercise play focusing on interaction between state emergency operations centers, FEMA Regional Response Coordination Centers, FEMA’s National Response Coordination Center, and federal departments’ and agencies’ national and regional emergency operations centers. NLE 11 will also examine how these entities interact with and support the broader homeland security enterprise. We have set NLE 11 as a proof of concept for our whole community catastrophic planning construct. Evacuations are a state or local responsibility – the role of FEMA is to provide support and resources to ensure the safety and well-being of those evacuated. For that reason, FEMA has been developing guidance, gathering resources, and providing planning support to states for 8 potential evacuations. An example of the tools being developed is the Evacuee Support Planning Guide – FEMA P-760 – as well as reimbursement policies for states to host evacuees and tools such as the National Mass Evacuation Tracking System (NMETS). • Assisting states in identifying potential host states for evacuees. • Providing technical assistance for the implementation of the NMETS. This system is both manual and computer-based, and is designed to assist states in tracking the movement of transportation-assisted evacuees, their household pets, luggage and medical equipment during evacuations. • Coordinating with state government-assisted transportation providers to provide manifests. • Supporting evacuees throughout the evacuation process, both in reception areas as well as host states. • Coordinating with household pet service providers to ensure that adequate sheltering and services are available during the evacuation. • Activating and deploying the National Emergency Family Registry and Locator System and activating and deploying the National Emergency Child Locator Center to facilitate the reunification of displaced families and unaccompanied minors affected by an evacuation. • Coordinating with partner agencies to plan for and provide mass care support to evacuees as they return home and enter permanent housing. • Addressing the requirements of the whole community, including children, older individuals, people with disabilities, and individuals with limited English proficiency, as well as the groups and organizations that support these groups. • Activating, at the request of States, the Disaster Case Management program through our Inter-Agency Agreement with the Department of Health and Human Services’ Administration for Children and Families, to connect impacted community members to human services resources that can promote families’ self-sufficiency and recovery from the disaster. (Reuters) - Severe storms and tornadoes moving through the Southeast dealt a severe blow to the Tennessee Valley Authority on Wednesday, causing three nuclear reactors in Alabama to shut and knocking out 11 high-voltage power lines, the utility and regulators said. All three units at TVA's 3,274-megawatt Browns Ferry nuclear plant in Alabama tripped about 5:30 EDT (2230 GMT) after losing outside power to the plant, a spokesman for the U.S. Nuclear Regulatory Agency said. A TVA spokeswoman said the plant's output had reduced power earlier due to transmission line damage from a line of severe storms that spawned a number of tornadoes as it moved through Mississippi, Alabama, Kentucky and Tennessee. The NRC spokesman said early information indicated the units shut normally and the plant's diesel generators started up to supply power for the plant's safety system. 250 TONS of either would be devastating... and totally unnecessary in doing what they say they are trying to accomplish. On the other hand, if their motive is to shake the New Madrid fault loose to destabilize the ground beneath the MkI nuke plants constructed along the fault so they can be STUXNETed into meltdown, well that is a very real possibility. They're going to pack Pipes buried deep into the earth with 250 tons of explosives creating the worlds biggest underground pipe bombs. I've read that the area to be flooded feeds 16% of the nations food. I don't know if that's a fact but it's very disheartening to say the least. I know they grow alot down there...it's a economic powerhouse...and will be gone when they blow the Levee. Isn't that alot more powerful than what they were originally saying??? As per JT's number, it's 150x that of OKC? CAIRO, Ill. – Missouri Attorney General Chris Koster asked the U.S. Supreme Court on Sunday to block federal officials from destroying a Mississippi River levee as they try to prevent flooding in a small Illinois city. The Army Corps of Engineers is considering blowing a two-mile hole into the Birds Point levee in southeast Missouri, which would flood 130,000 acres of farmland in Missouri's Mississippi County but protect nearby Cairo. The city of 2,800 residents is being threatened by the dangerously swollen Mississippi and Ohio rivers. The 8th U.S. Circuit Court of Appeals rejected Koster's bid Saturday to stop the corps' plan, though corps officials are monitoring water levels and haven't decided whether to go through with the blast. "In light of the devastation faced by the citizens of Mississippi County — devastation that will persist in the area for years to come — it is the responsibility of this office to pursue every possible avenue of legal review," Koster said in a statement. Cairo's mayor issued a mandatory evacuation Saturday, then passing thunderstorms dumped rain overnight on the already waterlogged region. By Sunday morning, water levels broke a record along the Ohio River, adding to the worries of emergency officials. Police went door to door Sunday to make sure people were leaving, though about 20 to 30 families refused to evacuate, according to the Illinois National Guard. Those residents signed waivers indicating they understood the risks. Mayor Judson Childs ordered the evacuation because of a "sand boil," an area of river water seepage, that had become dangerously large. He made the decision after meeting with Maj. Gen. Michael Walsh, the Army Corps of Engineers officer tasked with deciding whether to breech the Birds Point levee to relieve pressure on other levees along the two rivers. Sand boils occur when high-pressure water pushes under flood walls and levees and wells up through the soil behind them. They're a potential sign of trouble. City clerk Lorrie Hesselrode described the boil as "kind of like Old Faithful," the famous geyser in Yellowstone National Park in Wyoming. "There's so much water pressure it forces the water under ground." "It's kind of scary. It's pretty big. We've had sand boils before but nothing like this. It is under control but other boils have popped up," she said. Early Sunday, the Ohio River topped a 1937 record of 59.50 feet by reaching 59.59 feet in Cairo, the National Weather Service reported. The river is expected to crest in Cairo at 60.5 feet by Tuesday and stay there through at least Thursday afternoon, according to the National Weather Service. A flood wall protects Cairo up to 64 feet, but the corps fears that water pressure could compromise the wall and earthen levees that protect other parts of the city. The corps moved a pair of barges loaded with the makings of an explosive sludge into position near the levee Saturday, though the agency hasn't decided that it needs to breach the 60-foot-high earthen wall. The 230 people who live in the southeast Missouri flood plain behind the levee had already been evacuated from their homes, and as many as 800 were asked to leave surrounding areas, said Scott Holste, spokesman for Missouri Gov. Jay Nixon said. "The entire area has been evacuated now," Holste said, adding that more than 600 Missouri National Guard troops are helping local law enforcement at checkpoints around the area. Some of the farmers whose land would be inundated moved out what they could Saturday. "When the water hits this dirt, it's going to make a hell of a mess," farmer Ed Marshall said as he packed up his farm office and hauled away propane tanks and other equipment. He said he was keeping an eye on the weather forecast, which called for several more inches of rain over the next few days. "If that happens, I don't believe they'll be able to hold it," he said. In Cairo, which is just north of where the Ohio flows into the Mississippi, the mayor said he was relieved that the courts have sided with the corps. "I've been saying all along that we can't take land over lives," Childs said. Illinois, Kentucky and Tennessee want the corps to move forward with the plan. Illinois Attorney General Lisa Madigan vowed to fight Koster's appeal Sunday, calling it "yet another unfortunate and legally unjustified attempt" to prevent federal authorities from protecting Illinois residents. If what the NYT is saying is true... 250 tons of explosives is to be used and this is ANFO, this is 125 to 150 times the explosive power that shook the ground and set up seismic disturbances in 2 counties in Oklahoma when the Murrah building was blown up on April 19,1995... why so much...? reasons the war in Iraq will not end anytime soon.."
This is controlled demo of the New Madrid Fault Line! They were not clear in the beginning with what was to be used... from the sounds of it they will be pumping a slurry of 250 tons of ANFO into a pre-existing network of pipes designed specifically for this purpose. Again, this is 150 times the explosive that rocked OKC in 1995.
the government costs YOU money." When I read the article this was my first take on it. TPTB will pit one state against another. Not only are they destroying the land, but they will cause turmoil amongst the people of different states. They are hell bent on creating a new reality from their alternate reality. TPTB are speaking into existance a new reality based on a plan they devised and then set into motion. 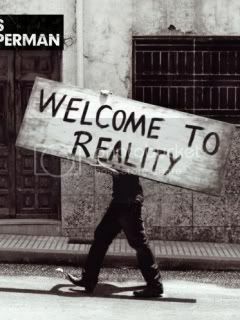 If they can get the people to believe and live the alternate reality then it becomes the new reality. This appears to be what's happening in America, and they are using Global Warming & Climate Change as their excuse for all of these unprecedented storms. They are carving up America, by displacing people with these storms, IMO! LOL @ "one man decides". Maj. Gen. Michael Walsh instructed crews Sunday to move barges containing explosives to the Missouri side of the Mississippi River in case he decides to blow up the levee. It's interesting that they're not hyping this up. How is 150 times the explosive power of the Oklahoma City bombing not "news"? CAIRO, Ill. (AP) â€” A legal fight over whether the Army Corps of Engineers should blast open a levee to relieve the rain-swollen Mississippi River went to the nation's highest court Sunday as the Illinois town the breach is meant to help during record flooding was cleared out. Walsh said it would take 20 hours to get the pipes filled, during which time he will review conditions before deciding what to do. Destroying the levee would provide a relief valve to ease the menacing rivers and ultimately lower them, taking pressure off Cairo's floodwall and other levees father south along the Mississippi. So we're looking at tomorrow afternoon, if there are to be any fireworks. (picture#8) Army Major General Michael Walsh is responsible for making this decision to flood the land and homes of people OR the land and homes of people! These people are creepy! They are crazy! They don't care about you or I or anyone else. They live in a world where nothing is impossible for them. I'm sorry if my explanation of where their heads are at sounds creepy but how do you make them sound anything but?? They are in the occult up to their eyeballs. How is this anything else but creepy? 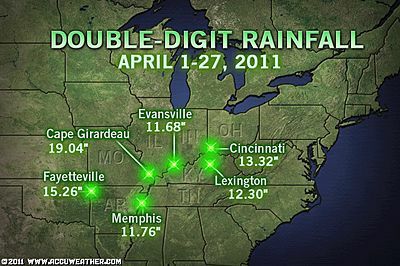 After just watching the weather report KFVSTV 12 for today we are supposed to get between 2-3 more inches of rain ( southern Illinois area,Cairo ) and more than likely they will blow the levee due to the water level being in highest in recorded history ( repeating what the weather man said ).. If it was my land they were going to flood they would be dodging hot lead..
130,000 acres will be flooded if they blow the levee and 100,000 of that is fertile farmland that will be destroyed as sand from the river will cover the farmland soil. let Cairo flood and save the farmland..
Cairo is one big ghetto as I ride my motorcycle through there a few times a year and it has become a crime ridden ,drug dealers paradise. From someone right in the middle of the storm ; The college in Jonesboro is asking for volunteers to pretend to be injured the week of May 16-20 so that they can practice attending to mass injuries/deaths. THEBES, Ill. -- Emergency management in Alexander County, Ill. reported just before 10 a.m. today a breach at a levee in Fayetteville just south of the railroad bridge near Thebes. This could cause more flooding in Olive Branch, Tamms and possibly, Cairo, Ill. The flooding will likely close Highway 3, according to the National Weather Service in Paducah, Ky.
U.S. Army Corps of Engineers spokesman Jim Pogue said around 10:15 a.m. he was unaware of the breach, but it would likely be a factor in Maj. Gen. Michael Walsh's decision on the Birds Point-New Madrid flood way. Top corps officials are scheduled to give a briefing at 11 a.m. and Pogue said the decision to breach the Birds Point levee will be made following the meeting. SIKESTON, Mo. -- With the rains returning and the flood gauge at Cairo, Ill., expected to match all-time highs by Monday, Maj. Gen. Michael Walsh gave the order Saturday to move barges carrying 250 tons of explosives to Wickliffe, Ky., putting them in position to blow the Birds Point levee in Mississippi County. But Walsh said at a news conference Saturday afternoon he has yet to decide whether he will activate the plan that would inundate 132,000 acres of farmland in Mississippi and New Madrid counties. "No decision has been made," said Walsh, president of the Mississippi River Commission and commander of the U.S. Army Corps of Engineers Mississippi Valley Division. "It's not time-phased, it's condition-phased." And moving the barges is not even an indicator that he's more strongly considering blowing the levee, which would relieve pressure from the swollen Mississippi River by diverting its waters to 132,000 acres of farmland in Mississippi and New Madrid counties. Supposed to have a press conference at 5pm today to announce whether or not they are going to 'blow it'. IMO it is a foregone conclusion since they have already pumped in the 'slurry' of explosives...http://www.semissourian.com/story/1723568.html. "One week ago, I activated the Missouri National Guard to protect lives and property in southern and southeast Missouri because of forecasts of historic flooding in that region. In recent days, rainfall has exceeded those initial forecasts, and Missourians are coping with record river levels along parts of the Mississippi. Today, more than 760 Citizen-Soldiers of the Missouri National Guard are on the ground in southeast Missouri. In cooperation with state, county and local law enforcement, they have evacuated the Birds Point-New Madrid floodway and continue to provide protection for the property families have left behind. I appreciate the tireless and professional efforts of all men and women of the Missouri National Guard, the Missouri State Highway Patrol and local agencies who are working long hours to complete their missions. "Earlier this evening, Major Gen. Michael Walsh of the Corps of Engineers informed me of his decision to proceed with plans to blow a hole in the levee at Birds Point as soon as possible. This explosion will send a tremendous amount of water through approximately 130,000 acres of farmland in southeast Missouri. The General's hope is that this action will relieve pressure on other parts of the levee system and save lives. "As we have throughout this historic flooding, the State of Missouri will continue to provide resources and personnel to protect the people of the Bootheel. We have boots on the ground. We are prepared. And southeast Missouri will move forward again. "I urge Missourians to continue to cooperate fully with state, county and local law enforcement, as they have at every stage of this process. Together, we will ensure that Missouri families stay safe in the coming days. And together, we will recover and rebuild." Gov. Nixon has toured the flooded region three times, including a personal visit into the floodway Sunday evening. The Governor plans to return to the region tomorrow (Tuesday) to survey the situation. Missourians who need disaster information, shelter information or referrals are urged to call 211. The 211 service number is now available for most areas in Missouri. In areas where the 211 number is not operational, citizens can call 800-427-4626. Weather and emergency information also are available on the state of Missouri's website, Mo.Gov. "Watch them blow that levee to hell, and it set off a quake. At this point in the game, I believe anything can happen. This weather is just nuts. It has been raining nonstop all night and all day today. It's not supposed to stop until some time tomorrow."